Chefs Donald Link and Stephen Stryjewski created the Link Stryjewski Foundation to address the cycles of poverty and violence in New Orleans by investing in high quality education, enrichment, mentoring and job training opportunities for the City's youth. The Link Stryjewski Foundation provides financial support and partners with non-profit organizations that directly work to further the Foundation's mission: to nourish and educate the youth of New Orleans. Learn more about the Link Stryjewski Foundation at Work here. The mission of Kingsley House is to educate children, strengthen families and build community. Kingsley House is dedicated to improving the quality of life in Southeast Louisiana by collaboratively working with others to build a comprehensive system of services and resources that meet the needs of our recovering community. Learn more. YEP’s founders started the organization in 2004 in order to assist young people returning to New Orleans from juvenile correctional facilities. Since its inception, YEP has earned local, statewide, and national recognition for being at the cutting edge of progressive programs for at-risk youth. YEP has a proven track record of effectively engaging these young people and helping them develop and work toward their educational, vocational and personal goals. Learn more. The mission of Grow Dat Youth Farm is to nurture a diverse group of young leaders through the meaningful work of growing food. 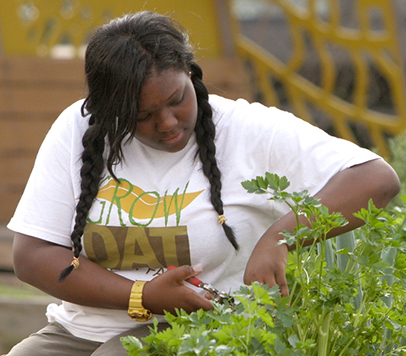 On the farm, located in City Park, the Grow Dat team produces healthy food for local residents and inspires youth to create personal, social and environmental change. In 2016, the Link Stryjewski Foundation partnered with Grow Dat to host its inaugural "Dinner on the Farm", which has grown into a series of fundraising events. Learn More. The Roots of Music believes that music has the power to transform lives. 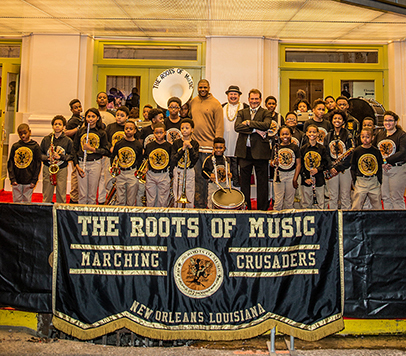 The organization empowers the youth of New Orleans through music education, academic support, and mentorship, while preserving and promoting the unique musical and cultural heritage of our city. The Roots of Music provides students with hot meals and round-trip transportation to reduce common barriers to participation. The Roots of Music performs annually at Bal Masqué. Learn more. Son of a Saint exists to enhance the lives New Orleans boys who are fatherless due to incarceration, death or abandonment. The organization provides mentorship, emotional support, development of life skills, exposure to constructive experiences and formation of positive, lasting peer-to- peer relationships. Chefs Donald Link and Stephen Stryjewski are honored to serve as Son of a Saint Ambassadors. Learn More. Big Class's mission is to cultivate and support the voices of New Orleans youth writers through creative collaborations with schools and communities. Since 2010, Big Class has served more than 3,500 youth through dynamic, innovative, free writing programs supported by over 400 volunteers. Big Class is in chapter development with 826 National, a network of youth writing nonprofits, and preparing to open a Youth Writing Center in the 7th Ward. Learn more. Second Harvest's mission is to end hunger by providing food access, advocacy, education, and disaster response. The organization, the largest charitable anti-hunger network in South Louisiana, offers after-school and summer feeding programs, school food pantries and backpack programs to reduce childhood hunger. Learn More. 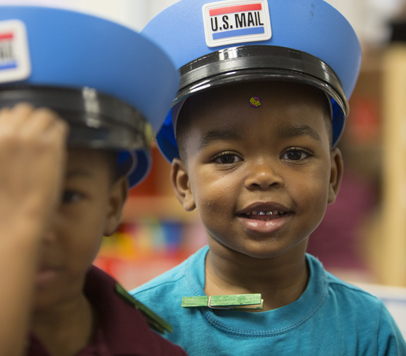 Help us nourish and educate the youth of New Orleans.